Toby Berger investigates the Switch version of Rockstar's hard-boiled detective drama L.A. Noire. LA Noire is a special game. 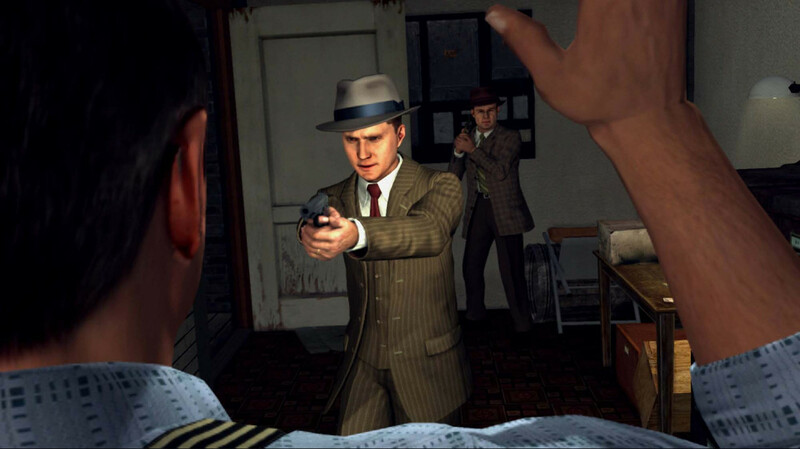 Released all the way back in 2011, Rockstar’s oddball was a pioneer in facial motion capture technology that had gamers play detective on the crime-ridden streets of 1940s Los Angeles. L.A. Noire’s Switch port is excellent, and much like the other November third-party releases for the system, nicely showcases what Nintendo's tiny hybrid can do. If there wasn't a Rockstar logo on the start-up screen of L.A. Noire, you’d probably never suspect the free-roam open-world specialists had anything to do with the game. 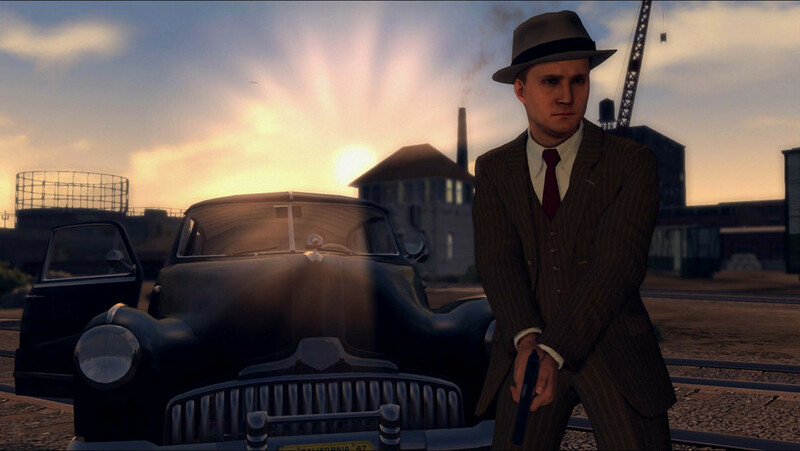 Standing in stark contrast to the loose and chaotic action of Grand Theft Auto and Red Dead Redemption, L.A. Noire is a linear, focussed, and story-centric title about the rise of WWII veteran-turned-cop Cole Phelps through the ranks of LA law enforcement. L.A. Noire's story is fantastic, with excellent, believable writing throughout, and a musical score befitting of the time period. It’s a title that incorporates a lot of interesting elements and ideas into its slower-paced gameplay, and at its core there's a strong focus on smaller details. As Phelps interviews a multitude of suspects and persons of interest throughout the game's 20-hour story, you have to determine whether they’re telling the truth or lying. In this port and the current-gen console remaster, this comes by the way of a Good Cop / Bad Cop / Accuse system, which has replaced the ambiguous original options of Truth / Doubt / Lie. This change is for the better, allowing you to have a greater understanding of where Phelps is going to take his conversations and accusations. The game recreates a beautiful, sprawling representation of Los Angeles in the 1940s, and contrasts it directly with dark subject matter: dead bodies, robberies, and an underbelly of violence and drug rings. At times you’ll be driving around the city, talking to different witnesses, and visiting points of interest. Other times you’ll be knee-deep in a car chase down one of Los Angeles’ famous concrete water channels. It’s a mix of Grand Theft Auto and Ace Attorney as you try and solve crimes and piece together what’s happened in the 20-or-so cases the game runs you through. Of course, in some instances you’ll mess up, and L.A. Noire makes you live with those mistakes, pressing on with the story anyway. In most cases, making a few key errors will see suspects get away, so paying attention to every little detail within each case is heavily encouraged. 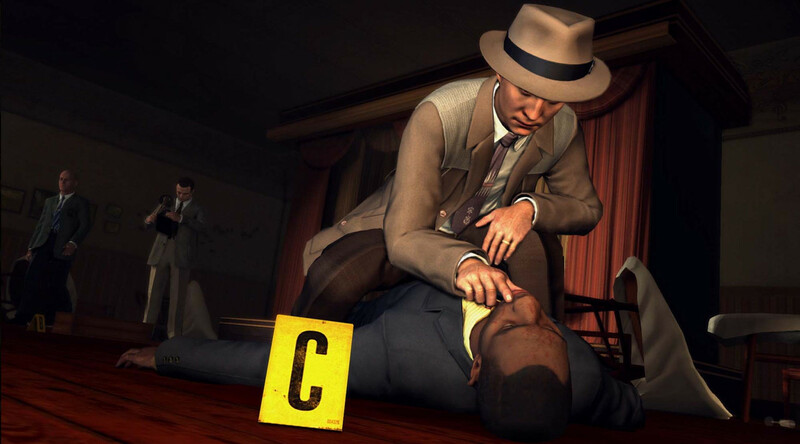 L.A. Noire also grades you at the end of every case, giving you a bit of an insight on how you could have done better. Taking a game of this nature on the go is a fun experience. Rockstar has done an excellent job in refining and fine-tuning L.A. Noire on Switch, and for the most part the game manages to stay locked at 1080p/30fps while docked, alongside 720p/30fps in handheld. There are occasions where it struggles and the framerate drops for a bit, but this doesn't occur often enough to detract much from the overall experience. Performance only takes a hit when there is a car chase or action sequence going down, and it doesn’t happen all that often. L.A. Noire on Switch looks great for the most part, whether you’re playing in handheld mode or docked on a TV. It’s a little bit less refined than what’s on offer in the PlayStation 4 and Xbox One editions, but the game is a noticeable step up when compared to the PlayStation 3 and Xbox 360 versions. The facial motion capture holds up well, but there have been some draw distance cutbacks. In terms of Switch-specific additions, L.A. Noire includes gesture-based motion control, which allows you to move the camera around on both the vertical and horizontal axis (unlike what’s seen in Splatoon 2, if you’re familiar with that). There are also touchscreen controls which allow you to move Phelps, have him investigate items of interest at a crime scene, and also move the camera about. You can also use the Joy-Con motion controls to fight, inspect items, and rotate pieces of evidence. While these additions are welcome, I never found myself using them all that much. I prefer to play with a traditional controller, but I appreciate the options being there for players wanting to experiment. Rounding out L.A. Noire’s 2017 remaster is the inclusion of four new unlockable outfits, as well as a few new collectibles scattered throughout the game world. Nothing in terms of new cases or gameplay has been added, though all of the game’s DLC is included with this release. L.A. Noire on Switch is excellent. A sleeper hit of last generation, it’s a game well worth revisiting if you’re a fan of the noir or mystery genres. It’s much more subdued and slower paced than Rockstar’s other titles, but that makes it the most unique of the bunch. Playing something of this nature on the go may is a great experience, and it comes recommended for anyone looking for something a bit different to play on Nintendo’s hybrid hardware. Ups Absorbing story. Looks great docked or in handheld mode. One of the best games you can take on the go, especially to kill the time. Musical score is fantastic. Downs Frames can drop during frantic moments in gameplay. Six years on, the graphics are showing their age.